Trefis recently launched coverage of GM, with a price estimate that is about 25% above the current market price. The following commentary comes from an independent investor or market observer as part of TheStreet's guest contributor program, which is separate from the company's news coverage. The opinions expressed are those of the author and do not represent the views of TheStreet or its management. NEW YORK ( Trefis) -- General Motors ( GM - Get Report) is currently the world's second largest automobile original equipment manufacturer based on vehicle sales volume. GM sells cars, trucks and crossover vehicles, and offers vehicle leases and loans through GM Financial. Its business is diversified across products and geographic markets, with operations and sales in more than 120 countries. In China, GM operates primarily through its three joint ventures. General Motors competes with players like Toyota ( TM, Honda ( HMC, Ford ( F, Daimler, Volkswagen and Hyundai. We recently launched coverage of the company with a Trefis price estimate of $45 for GM's stock, which is about 25% above the current market price of $36. The company's brands include Cadillac, GMC, Buick and Chevrolet globally; Opel and Vauxhall in Europe; and Daewoo, FAW, Holden, Isuzu, Jiefang, Baojun and Wuling in other international markets. We've broken down our analysis of GM into eight major business segments: GM Cars U.S.; GM Trucks U.S.; GM Canada & Mexico; GM Europe; GM China; GM International; Vehicle Leases; and GM Other Income. GM faced immense problems during the automobile crisis that followed the global crisis but has managed to restructure its business and come out stronger. The new GM commenced operations on July 10, 2009, after it completed the acquisition of substantially all of the assets and assumed certain liabilities of the old GM through a 363 Sale under the Bankruptcy Code. In the second half of 2010, it achieved profitability. GM's U.S. total vehicle sales business is the most valuable business for GM. The vehicle sales business in U.S. is closely followed by its vehicle sales business in China, where GM operates through three joint ventures and is the second most valuable region for GM. After GM sold its majority stake in Ally financial, GM's vehicle lease business contributed only 5% to GM's total valuation, but we expect GM's vehicle leasing business to grow and become increasingly more valuable following the acquisition of AmeriCredit. 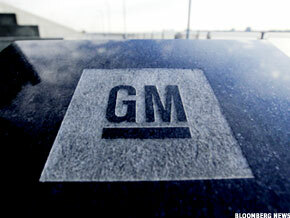 GM is now focusing its resources upon four core brands: Cadillac, GMC, Buick and Chevrolet. As a result, GM completed the sale of Saab in February 2010, the sale of Saab Automobile GB (Saab GB) in May 2010 and has ceased production of the Pontiac, Saturn, and HUMMER brands as it continues to wind down the related dealerships. GM's Chinese operations were established in 1997 and are primarily composed of three joint ventures: SGM, SGMW and FAW-GM. GM views the Chinese market, the fastest growing global market by volume of vehicles sold, as important to its global growth strategy and is employing a multi-brand strategy, led by the Buick brand that is strong in China. In the coming years, GM plans to leverage its global footprint to increase the number of license plates under the Chevrolet brand in China. In China, to limit the number of vehicles on the roads, a certain number of license plates are issued each year and this creates a cap on how many vehicles are sold in aggregate in China. This also intensifies competition among manufacturers. GM plans to continue to invest in capital, engineering and innovative fuel-efficient power train technologies including an extended-range electric vehicle and battery electric vehicles. The plans also include aggressive capacity reductions including headcount reductions. The restructuring plan will lower GM's vehicle manufacturing costs, through manufacturing rationalization, headcount reduction, labor cost concessions from the remaining workforce and selling, general and administrative efficiency initiatives. By the beginning of 2012, GM plans to have 80% of all Opel/Vauxhall cars on the roads be models that are less than three years old and hopes this will refresh the brand and improve its image. You can see the complete $45 Trefis Price estimate for GM's stock here. .